It requires squaring of values. So floating point calculation is required. Routines developed for such calculations are very complex and slow. 1. 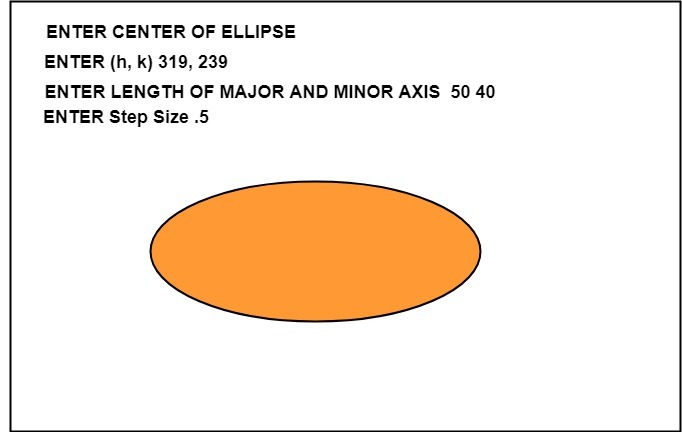 Set the initial variables: a = length of major axis; b = length of minor axis; (h, k) = coordinates of ellipse center; x = 0; i = step; xend = a. 2. 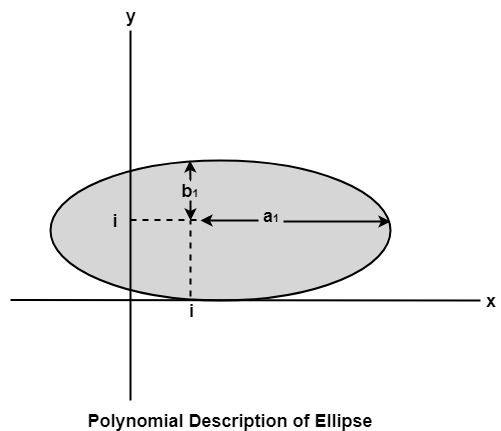 Test to determine whether the entire ellipse has been scan-converted. If x>xend, stop. 5. Increment x; x = x + i.